Union’s San Vittore Olona facilities near Milan, Italy, are offering a new line for the recycling of heterogeneous plastic waste. The development of this line came about in consideration of today’s plastic that mostly are non-biodegradable and making up a large proportion of the world's solid waste. The company's current strategy is based on the development of solutions that are innovative from the point of view of cutting processing costs and protecting the environment. 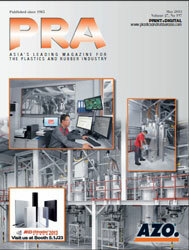 What is more, in addition to taking into account energy efficiency, the recycling line designed and built by Union has been developed in accordance with the need to guarantee flexibility, sturdiness and production output under the various conditions that a recycling line has to cope with, namely: the working environment, and the different types, shapes and dimensions of the plastics needing to be processed. 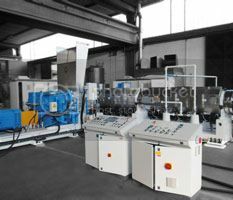 The line, which can process up to 2000 kg/hour, has a very simple operating principle: the heterogeneous material, with a moisture content of up to 30%, is fed, via a conveyor belt equipped with a special comb, which regulates its flow, into a special agglomerating machine which has a large plasticisation unit with large-diameter rotating screws. The speed of the conveyor belt, and thus the flow rate, are kept constant by a control system located on the engine. Inside the plasticizing unit, the material is submitted to mechanical friction and heating, which reduces its high moisture content and increases its density. Once molten, the material flows directly into a special extruder; from there is flows through the continuous, self-cleaning screen changer before being sent, finally, to the die-face pelletiser to be turned into recycled plastic pellets. The system is able to put back into circulation plastics that would otherwise be unusable, given the different polymer blends that characterize them and the high levels of impurities contained.